Fashionable Heart: eShakti FX - Even more ways to customize your clothes! 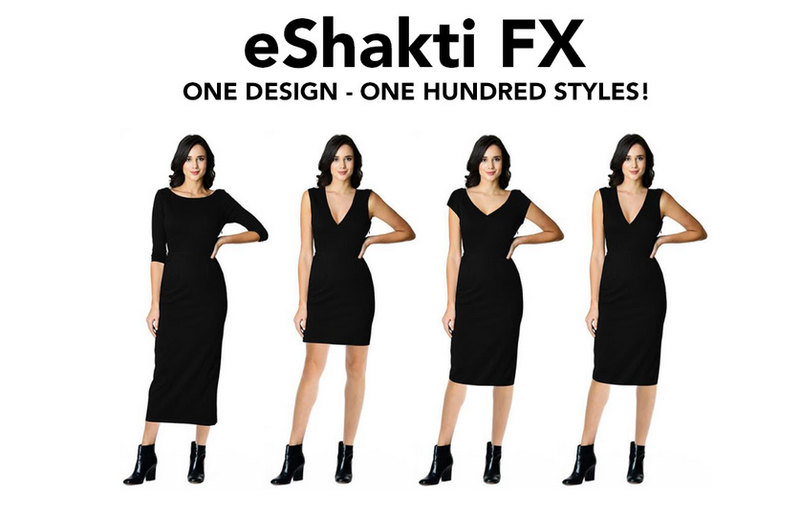 eShakti FX - Even more ways to customize your clothes! 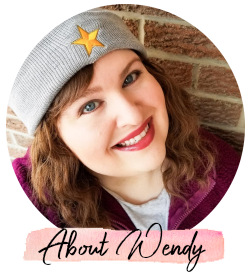 I've worked with eShakti a handful of times now and it's always exciting to scroll through their website and look at the new offerings. They are always changing! I personally love their dress selection. Even better, you've always been able to customize them by size, sleeve length, dress length, pockets, etc. Seriously. You can add pockets and don't think I don't take advantage of that! 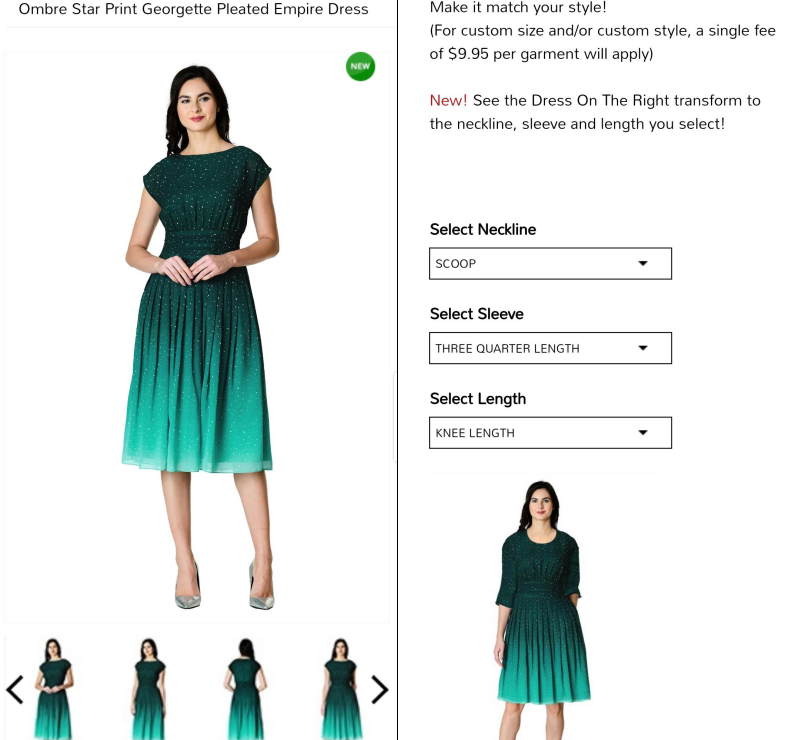 Now, eShakti has upped their game even more with eShakti FX. Keep reading below for more info! 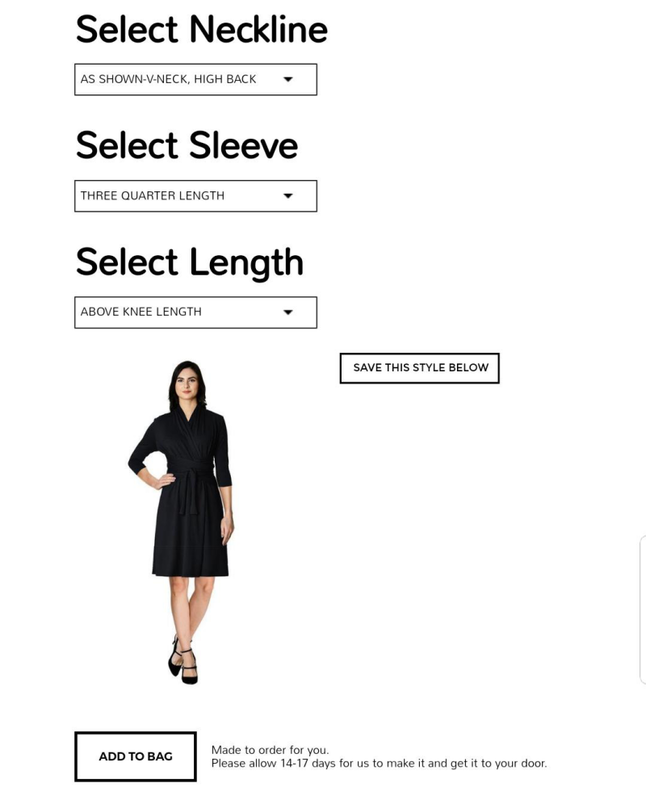 One of the best things about eShakti, if not THE BEST, is the size range. You can measure yourself and get your article of clothing specific to your measurements or go by their size chart. Size 0-36 is represented. That kind of inclusivity can be hard to find and should not be overlooked. Now for the new FX system, these specific customizations can be found only on items with the FX symbol on them. You can still absolutely customize lengths, pockets, and the works on everything. The FX just takes it up a notch and also gives you a preview to see the option as you choose it, really giving you an idea of what the finished product is going to look like. Customization is everything. Is it winter and the dress you're looking at is sleeveless? Change the sleeve length. A v-neck and you prefer a scoop? Change it. Want to show off those gorgeous legs of yours? Get the mini length and pop those gams out. It's all up to you! How many shops offer that kind of customization and personalization? I certainly cannot think of many. 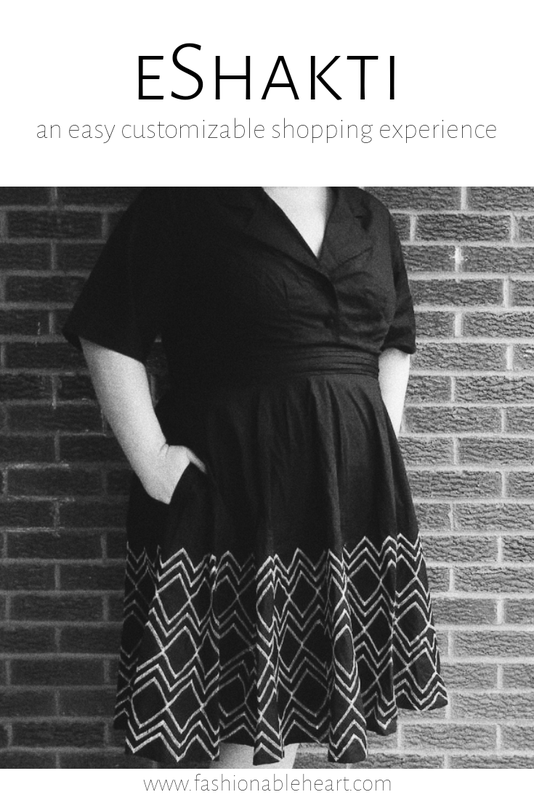 If you're someone who is always saying "I'd like this more if it had..." with your clothes, eShakti might just be your saving grace. And as long as you have not worn it, you have 30 days to return it if you are not satisfied. 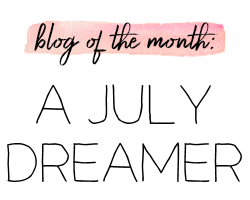 And yes, that even applies to any article you customize! Now that's rare! For example, take this Ombre Star Print dress. It's so pretty that I just had to use this one as an example. The model is shown in cap sleeves, which I just don't find that flattering on myself. The length is below the knee and the neckline is a classic boat neck style. But guess what? You can change all of those things to reflect your own style and comfort level. I changed all three to show options that I might prefer to the original show. I hope you will check out the new FX option and find something you like. Right now for a limited time, you can get 40% off of your first order. Since I have three eShakti dresses in my closet, I can tell you the quality is there with my items. The dress in my picture above is still in great condition. I have gone with their sizing and it has been true-to-size. AND THE POCKETS ARE GLORIOUS. **eShakti will be providing me with a gift card for my review. All thoughts and opinions are my own. There are no affiliate links in this post.